It’s back to school and similarly it’s time to do some Medicare homework. 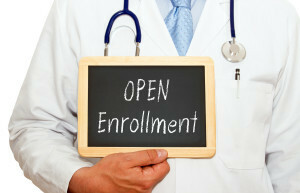 The Medicare Annual Enrollment Period is fast approaching. The AEP cycle starts Oct. 15 and ends Dec. 7, with coverage effective Jan. 1. This is the time of year when everyone on Medicare can reevaluate features of their contracts to see if they’re getting the best coverage at the best price for their Medicare Part C and D plans. Ninety percent to 95% of beneficiaries overspend on Medicare. Those are startling statistics. The most common reason beneficiaries overspend is they purchase Medicare Part C (Advantage) and Part D (prescription drug) plans that do not meet their individual health care needs. People tend to buy based on premium and overlook the benefits they use. They may think they can’t do any better and fail to evaluate other plan options. Individuals may not realize what the full cost to them is until the new plan year has started and it is too late to make a change. All plans announce new pricing and benefits every fall. Just like folks check other aspects of their health every year, it’s important to review Medicare coverage every year, too. Remember, the full cost includes both the premium and the other out-of-pocket costs such co-payments and co-insurance. Cost increases can be hidden in the out-of-pocket costs, such as how much a specific drug will cost next year. • Get organized early and compile a detailed list of medications and health care providers. There is an organizer worksheet in my ebook for that. • Read the new plan benefit summary the insurance company sends each beneficiary in the end of September. • Look at more than just the premium. See if co-payments, co-insurance, deductibles and other plan features will increase next year. • Call the company or go online to find more information. • Verify that medications, doctors, hospitals and other health care providers will be covered and at what price. • Assume that a better plan is not available. • Assume medications and care providers will be covered next year for the same cost next year. • Don’t wait until the last minute to shop — it’s too important! As the old saying goes, the devil’s in the details. The good news is that there are several sources of free assistance available to consumers and their caregivers to assist as they sort and sift through options. Medicare.gov is a good place to start to learn the plans are available in a particular area, medications coverage specifics, as well as which health care providers are in-network. People can call 800-MEDICARE (633-4227) 24 hours a day 7 days a week and speak to a representative. They need to have a list of medications ready for the representative who will use that information to customize plan recommendations. Eldercare.gov is a public service of the U.S. Administration on Aging that connects people to services for older adults and their families. This free information and referral assistance, including Medicare consultation and education, is available in every U.S. county. Visit the eldercare locator database or call 800-677-1116 Monday-Friday, 9 a.m.-8 p.m.
Shiptacenter.org is the State Health Insurance Assistance Programs site that directs consumers to free Medicare counseling and assistance in all 50 states and U.S. territories. SHIP is a public service of the U.S. Administration for Community Living. A word to the wise to about free support services is that they become overwhelmed as we move later into the AEP. The earlier you contact them, the more likely they will be available to assist. If your clients are on Medicare or help someone who is, I encourage them to shop for Medicare Advantage (Medicare C) and Medicare D (for drugs) plans this fall to make sure they are getting the best value for their money. Your clients do not want to be in the 90% to 95% of folks who are wasting their hard-earned savings. Once the AEP window of opportunity closes on Dec. 7, most Medicare enrollees will have to wait until 2017 for new coverage. In addition, the more suitable a plan is to a person’s health care needs, the less likely they are to encounter hassles in accessing health care services. That benefit alone is priceless.